Simple Machine (Pulley) is a kinetic sculpture presented with guitar pickups placed directly onto the metal enclosures of each pulley. When the pulley strings are put into motion, the physical action is used as raw material for audio feedback. 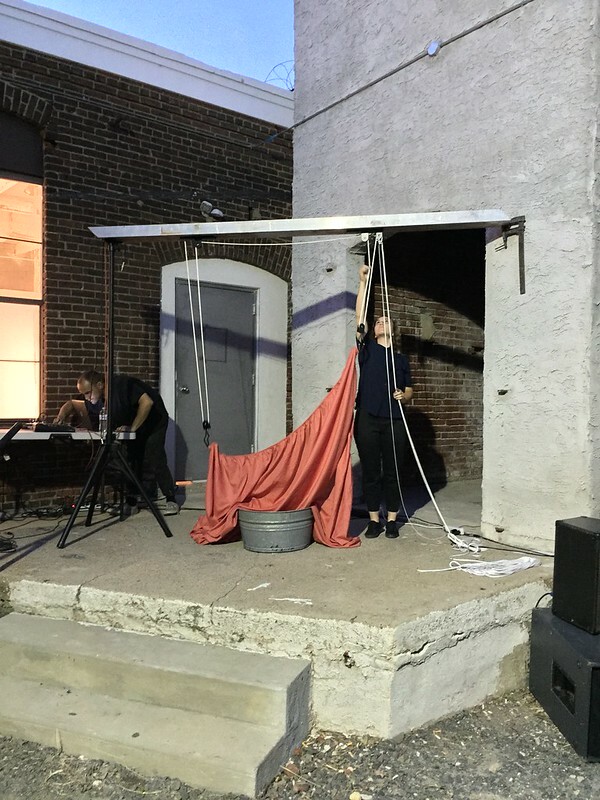 The live sound is processed, looped, and reverberated to sonically accompany the gesture and movement of the fitted sheet being pulled in and out of a water bucket. Concept and performance is by Maddie Hewitt. Live audio processing is by Collar. Video is courtesy of Rebekah Flake. Image is courtesy of Stephanie Bursese.